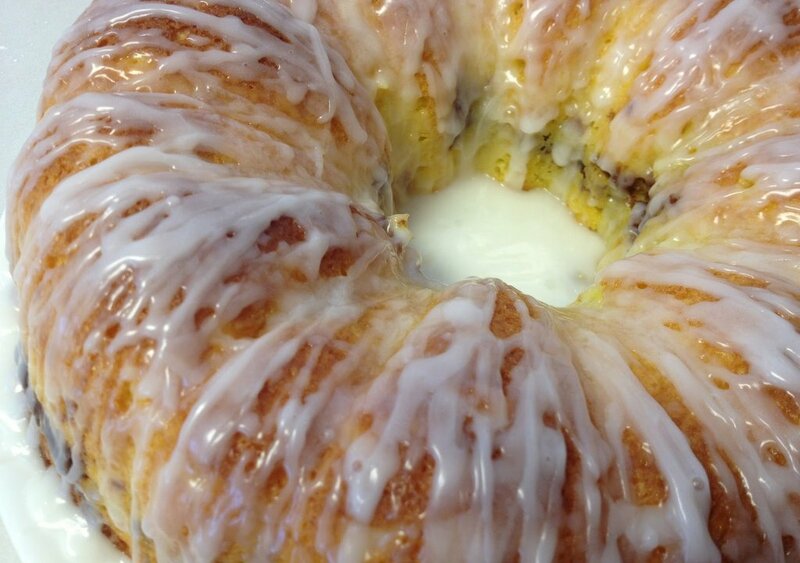 This is one of my favorite sweet bread recipes! 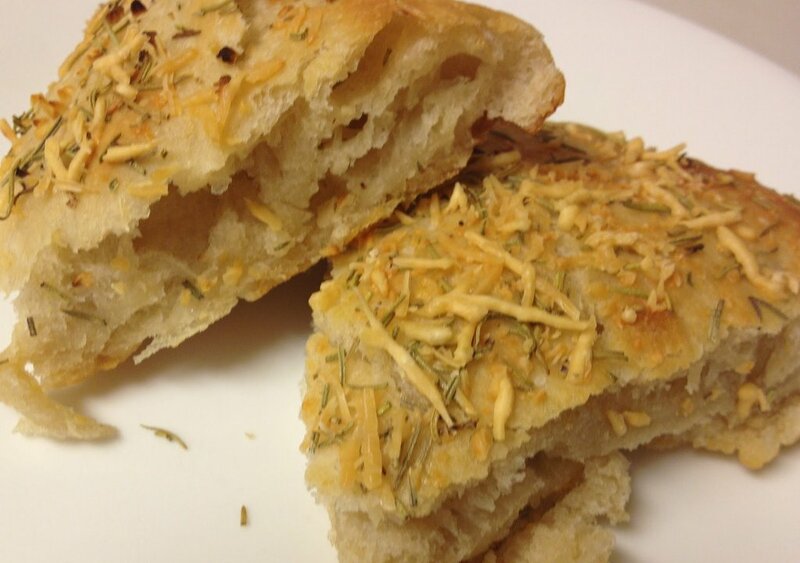 And believe it or not, this bread actually tastes better five minutes out of the freezer. The citrus flavor really comes through and the crystallized glaze is so delicately crispy chilled! Since this is poppy seed bread, check out “Amapola (Pretty Little Poppy)” sung by Bob Eberly and Helen O’Connell with the Jimmy Dorsey Orchestra. Enjoy the vintage big band sound! Preheat oven to 350 degrees. Prepare petite loaf pans by lining with Wilton® Petite Loaf Cups. Also prepare a cooling rack with waxed paper under it. 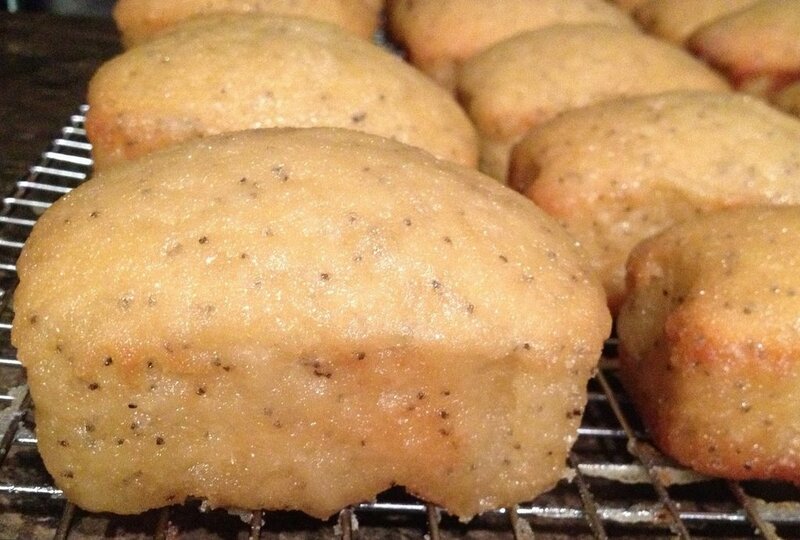 Combine flour, sugar, salt, baking powder, and poppy seeds. Add milk, oil, eggs, almond extract, vanilla extract, and butter extract. Mix together. Fill each petite loaf pan three-fourths full. Bake for 35 minutes, depending on the size of the pans. As loaves bake, prepare glaze as directed below. Put glaze in a bowl large enough to dunk each loaf individually. Remove loaves from pans and peel off papers while still hot. Dunk each loaf in the glaze. Remove with a slotted spoon or spatula. Place bread loaves on rack to cool and drain. Glaze will crystallize as loaves cool. Mix ingredients together in a bowl. Use as directed above. I’d agree. This bread is funny in that I love it fresh from the freezer rather than fresh from the oven!!! !